TL LeadManager® is our lead management system designed exclusively for Life and Health Insurance Agents. Managing your Medicare Supplement, Long Term Care, Final Expense and Annuity leads has never been easier. If you don't have or don't love your current lead/contact management system, you need to check out TL LeadManager®! This feature rich, easy to use contact management system, CRM, is designed to minimize the time you spend working leads and maximize your selling time. Reduce your paperwork, be more organized than ever before and start selling more policies. Used in conjunction with TargetLeads® we can make your direct mail marketing efforts as seamless as possible. Whether using Turning 65 lists for Medicare Supplement or any other kind of insurance leads, TLLM will allow you to manage, follow-up and run reports on all of your campaigns. Managing ROI is always tricky to compute. You have to be diligent on inputting your sales and non-sales. 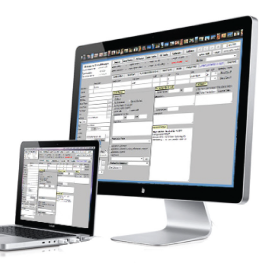 TL LeadManager® is designed so that these important portions of your reporting are inherent into how the system works. Managing your follow-up and ROI has never been easier. Whether you are focused on medicare supplement leads, final expense leads, long-term care leads, annuity leads or turning 65 lists, TargetLeads' TL LeadManager® is built to save you time and make you money. TL LeadManager® software will help you work smarter and more efficiently. In today's marketplace that is essential to survival. 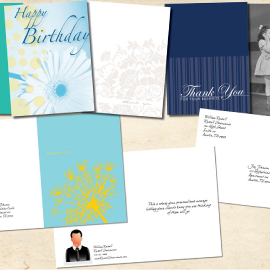 Sending customized Thank You and Birthday Cards is integrated into TL LeadManager® making it quick and easy to stay in front of your prospects and clients. Maximize your marketing dollars by utilizing everything TLLM has to offer. Click here to be redirected to the TL LeadManager® site for more information.